In the future, we need to secure access to health care, which safely and effectively integrates traditional, complementary and alternative medicine (TM/CAM). It is a human right. So says the World Health Organization, whose Director-General Dr. Margaret Chan recently signed a new strategy to this effect. 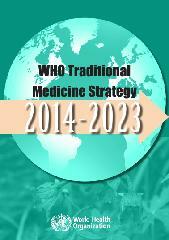 The strategy titled “WHO Traditional Medicine Strategy 2014-2023” updates the World Health Organization’s first strategy in the field of traditional, complementary and integrative medicine/health care (TM/CAM). IC head Torkel Falkenberg is one of the main experts behind the strategy document. In the preamble, WHO Secretary General Dr. Margaret Chan writes that much has happened in the field since the last strategy was published in 2002. More and more countries officially proclaim the importance of TM/CAM for human health and welfare, and the health system in general. Dr. Chan believes the strategy, and indirectly work with integrative care, can contribute to a broader vision of improved health and patient autonomy. achieve universal access to health care. appropriate integration of TM/CAM products and caregivers into national health care systems. 1) build a knowledge base and formulate national guidelines. 2) strengthen the work on quality , safety and efficiency through regulation. 3) proceed towards universal access of health care through appropriate integration of TM/CAM and self-care practices in the national public health systems. The strategy emphasizes the importance of all member countries basing their activities on broad knowledge of the field. All activities should be adapted to local circumstances, where a balance must be struck between safety and efficiency for consumers/patients on the one hand, and freedom of choice on the other. Given the global marketplace, the importance of global agreements in areas such as product quality is also becoming an important factor to consider, according to the strategy. The strategy also addresses the issue of who owns the rights to the products and practices whose origins lie thousands of years back in time. This underlines the importance of countries taking into account the rights of indigenous peoples to their knowledge, while emphasizing the importance of research and development on TM/CAM. The way forward is – according to the World Health Organization – to consolidate access to health care, which includes TM/CAM as a universal right through the safe and effective integration of TM/CAM into national health care systems.